Whereas before, people picked on their darkened skin areas and wrinkles, these days it has become quite normal for people to pick on their legs, cellulite, wrinkles, their thin lips, a mole that’s out of place, eyebrows that are too bushy, and even eyelashes that are not as long and fluttery as they wish it to be, and every other possible physical feature possible. That’s why eyelash enhancers came into the picture. What are Eyelash Enhancers and what can these do for you? Well, eyelash enhancers weren’t always around. First, there were mascaras. However, the difficulty of keeping mascaras in place in its non-stiff, unsmudged state was too challenging to keep up with, particularly for women who are on-the-go. That’s when the false eyelashes or, falsies began to debut in the market. The rigorous preparation of these requirements and the difficulty of getting these off after use has made many women who tried it once to not ever try it again. The next best thing to soon became eyelash extensions. Its expensive price tag and the temporary nature of this beauty enhancing technique, however, made it difficult for many women to keep up with the required periodic salon visits. Then eyelash enhancers came along, all promising to give you naturally long, curly and flattering eyelashes you can show off after just a few days of regular application. ($120 for 60 applicators or one month supply), made with bimatoprost, an active ingredient which Allergan originally used for a medicated eyedrop that the company formulated for a specific eye condition. Eventually, Allergan found out it caused eyelashes to grow longer and thicker. It then eventually packaged bimatoprost as an eyelash enhancer which became Latisse, approved by the US Food and Drug Administration in 2008. Revitalash ($150 for 3.5 ml), from Athena Cosmetics, is made with the eyelash enhancing ingredient, dichloro dihydroxy difluoro ethylcloprostenolamide, a prostaglandin that conditions and stimulates hair follicles to grow more and longer lashes. ($49.95), made with Hexatein 1 Complex as the main eyelash enhancer, and infused with polypeptides, biotin, panthenol, amino acids, soybean oil and pumpkin seed extract. 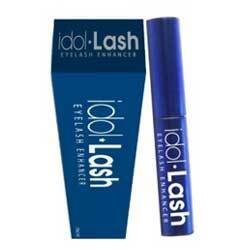 Idol Lash (available for free trial offer), main ingredients include kelp, honey extract, nettle, chamomile extract and alfalfa extract. Ask anyone which of their physical feature they’re not very comfortable with and would like to have enhanced and, chances are, very few will tell you they are not bothered by any physical insecurity. Perhaps, it’s human nature how people want to be aesthetically presentable at all times — and, the skincare industry players sure are playing up this natural instinct. So, better scrutinize the products that you are buying and make sure these aren’t going to cause you more harm than good. There are quite a few eyelash enhancing products on the market today, many of which appear to be capable of providing a few key benefits. Specifically, in addition to providing improvements in eyelash length, volume, and texture, an eyelash enhancer should also contain only quality ingredients. Furthermore, these ingredients must be able to nourish lashes so that they stay well conditioned and strengthened against premature breakage. 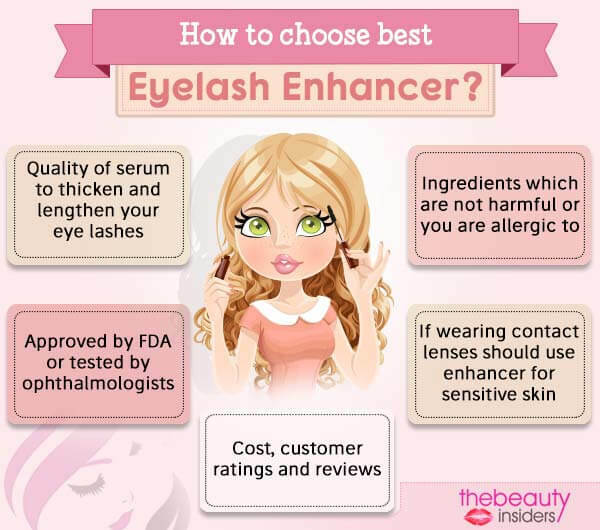 Because of the importance of these characteristics of an ideal eyelash enhancer, along with the large number of eyelash products sold today, we've listed several of our top eyelash enhancers below.